Europe is full of trains with oddly inappropriate names. At least the Alhambra goes to Granada. Not so the Wawel, which nowadays does not run to Kraków at all but only to Wroclaw. Some of the most bizarre train names are actually found in Austria. 'Austria reads' is just one of them. At least the Alhambra goes to Granada. Alhambra is the name of the train that runs by night (at least in the summer) from Barcelona to Granada, so the name certainly suits. Indeed, many of those who snooze their way south on the Alhambra probably make the journey to see the Alhambra palace complex. Europe is full of trains with oddly inappropriate names. 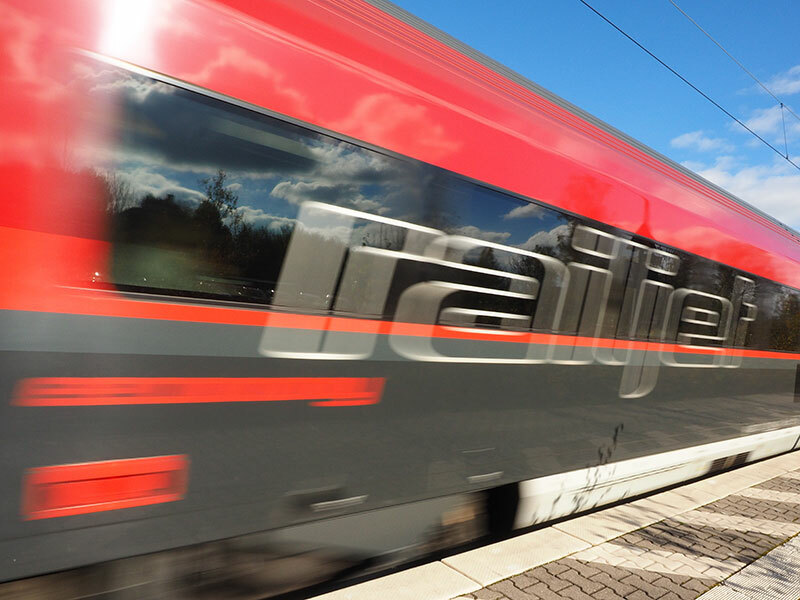 We quite often use the once-daily train that runs from Berlin via Cottbus to Poland. This train is called the Wawel, after the hill in Kraków with the town's celebrated castle and cathedral. As train names go, it sounds pretty good, but it is mightily misleading as the Wawel does not actually go to Kraków. It used too (aah, those were the days! ), but for the last year or two the Wawel has run only to Wroclaw. Legacy train names that hint of truncated routes are fascinating. Before it was axed in 2009, the most oriental point reached by the Orient Express was Vienna. The train had not gone to Istanbul for years. Another train in similar vein is the Costa Brava. That's the overnight train from Madrid to Barcelona which used to run on beyond Barcelona to serve a number of places along the Costa Brava. Nowadays the eponymous train terminates in the Catalan capital, no doubt to the disappointment of the buckets and spades who expect to awaken to a chorus of seagulls in some little beach resort. There is perhaps a little deception in the Vienna-Venezia Express, which does indeed run to Venice. But it is the slower of the two daily trains from Vienna to Venice, taking four hours longer than the other train which makes no claims at all to being an 'express'. Austria is the home of bizarre train names. We have written about some of the zaniest before in hidden europe. But ever-more-arcane names are appearing in Austrian timetables. 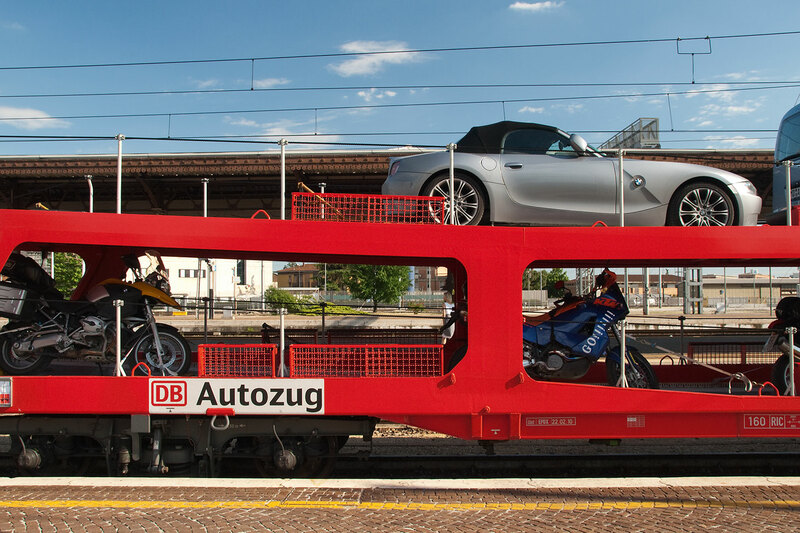 We were intrigued recently to find our early morning train from Linz to Salzburg was called easybank, no doubt seducing some travellers into assuming that they were boarding a mobile casino. 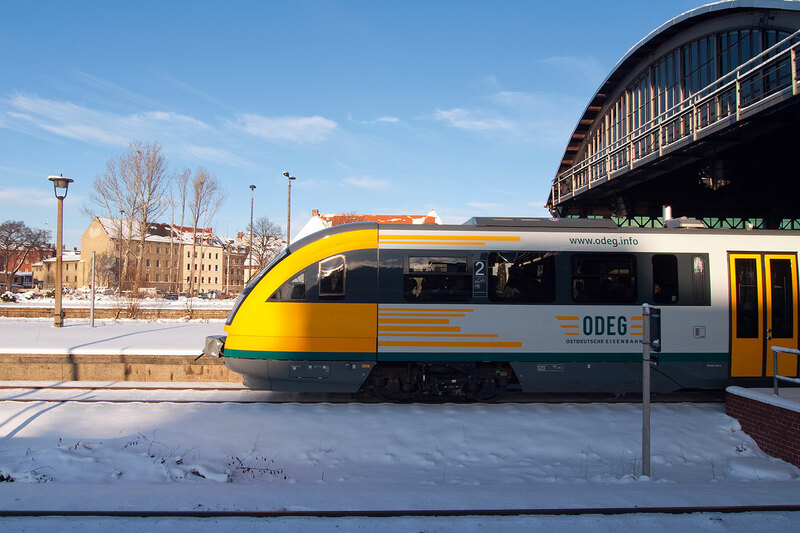 The latest new crop of Austrian train names includes many promotional names associated with particular business brands. The morning express from Salzburg to Budapest claims to be Powered by Star Inn Hotels (yes, the name is rendered in English). It was presumably a consortium of librarians who campaigned for the midday train from Innsbruck to Salzburg to be named Österreich liest ('Austria reads'). Reading on trains is a very nice idea, but that run to Salzburg is actually very pretty so it'd be a shame to miss it if you're too stuck into a good novel. One evening train from Salzburg to Vienna is called Powered by Austrian lawyers. Now we really think this is very tough on all those Austrian lawyers who, after a hard day's work in their chambers, must then do an evening stint powering trains. Heavens, can't the railway company afford the electricity? It makes the lawyers sound like hamsters. Austrian lawyers deserve better treatment.